With over 20 years experience, the ACCENTA line of pro audio accessories and musical instrument stands offers you high quality accessories at factory direct prices. 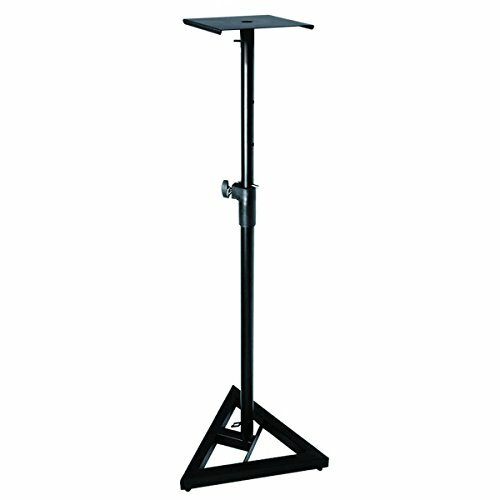 The Accenta SST-5 is a heavy-duty professional speaker/monitor stand. It is height adjustable from 24-42 inches and features a dual lock for added security. ACCENTA: the line that puts the accent on quality! If you have any questions about this product by Accenta, contact us by completing and submitting the form below. If you are looking for a specif part number, please include it with your message.